I bought the above computer yesterday and began seeing a criss cross pattern appear on the screen during the windows 10 setup process. The computer would restart each time to the blue “windows didn’t shut down properly” screen until I eventually managed to get in to windows and download the first load of updates. After that the pattern would appear but not crash the computer. 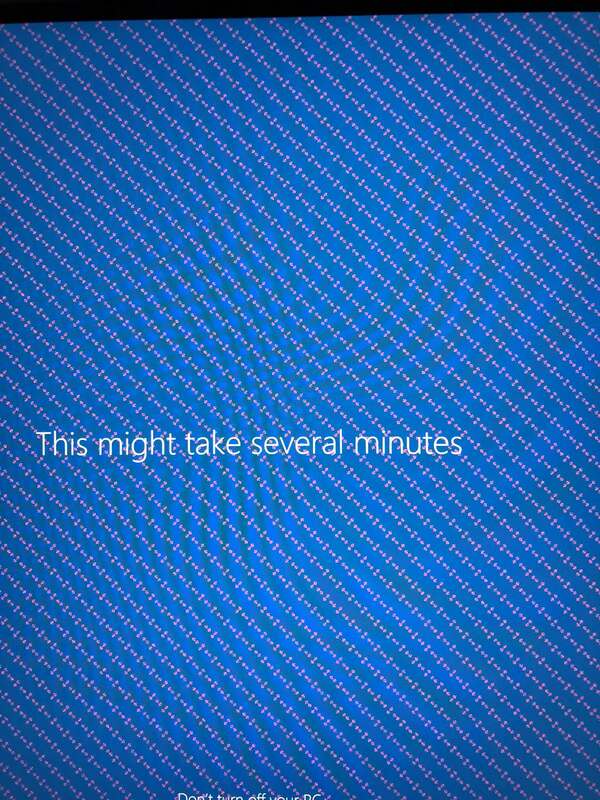 It now appears intermittently and the screen will go off for a few seconds a bit like what happens when you change screen resolution. I also notice that they are a different colour each time - cyan, red, white, yellow, magenta. I have updated drivers in device manager, updated them from AMD website and also performed the DDU process and reinstalled them from AMD website. The issue remains. I can only describe them as like little dog bones arranged in a cross cross pattern. Can anyone help me please as I can’t contact Dell as they are closed at the weekend. I also posted this on the Dell forum and someone has deleted my question. I managed to work out how to upload an image showing the issue. Did you but it direct from Dell. If so then I would simply reject it as you are within your rights to do so. If you bought it elsewhere I would just take it back for exchange or refund. Don't play about with it or you might invalidate you warranty. Yes direct from Dell. I put myself through to Premium Support yesterday to see if they would be willing to help and he said the same. If it’s doing it out of the box then he said ask for a replacement. Thank you for replying.